An influential reporter at Politico made an apparent "agreement" with the Democratic National Committee to let it review a story about Hillary Clinton's fundraising machine before it was submitted to his editors, leaked emails published by WikiLeaks on Friday revealed. As these internal documents demonstrate, a central component of the Clinton campaign strategy is ensuring that journalists they believe are favorable to Clinton are tasked to report the stories the campaign wants circulated. “I’ll look forward to how that is spun,” Podesta responded to Nides, who remains close to Clinton. 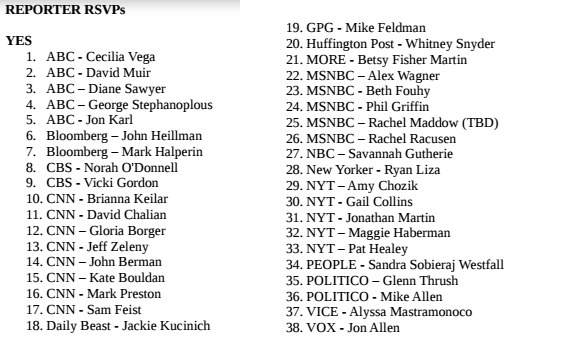 In an email to DNC colleagues on April 25 with the headline "Trump Questions for CNN," a DNC official with the email username DillonL@dnc.org asked for ideas for an interview to be conducted by CNN anchor Wolf Blitzer. "Wolf Blitzer is interviewing Trump on Tues ahead of his foreign policy address on Wed. ... Please send me thoughts by 10:30 AM tomorrow." CHRIS PLANTE: You said that they "disgraced themselves." They didn't disgrace themselves, they were just padding their resumes. They were found out in WikiLeaks. I was talking to somebody about this earlier: It is almost like the Soviet Union, but worse. At least in the Soviet Union, there was a penalty for not collborating with the state. These guys do it quite voluntarily. 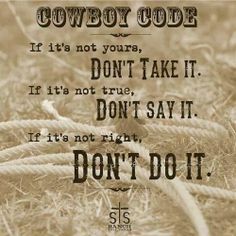 They do it because they are on the team. Harwood is far from alone. Yet another journalist has been exposed by WikiLeaks as a Hillary Clinton cheerleader — this time it’s CNN chief political analyst Gloria Borger. Borger sent Clinton campaign chairman John Podesta an email on February 12, 2016 titled: “U r a tv star!”In the email, Borger knocked the Republican Party and praised Hillary. When you think of President Obama’s foreign policy, think of Secretary of State Hillary Clinton. That’s the message behind a muscular speech that Clinton is set to deliver today to the Council on Foreign Relations. On October 11, Mediaite’s Jordan Chariton first reported another email that showed Brazile tipping off the Clinton campaign to a question on the death penalty that would be asked at a CNN Town Hall the next day. Brazile was a CNN contributor at the time, and that wasn’t her only helpful tip. By the time of 2016 presidential race, the media had lost their credibility as disinterested guardians of objective truth. And while Hillary Clinton in 2016 was no Barack Obama in 2008, reporters still gave her special privileges. CNN talking-head Donna Brazile fed debate questions to the Clinton campaign prior to a Clinton-Sanders televised debate. And the John Podesta Wikileaks trove revealed that a number of marquee reporters were openly colluding with Clinton to defeat Trump. “Her family has lead poison and she will ask what, if anything, will Hillary do as president to help the ppl of Flint,” Brazile said in the body of the email. Sure enough, one of the questions directed to Clinton during the debate was from a woman who spoke about the Flint water crisis’ effect on her family, asking what Clinton would do in her first hundred days in office. A CNN reporter who was recently suspended for two weeks for violating the network’s editorial guidelines showed up in a new trove of State Department emails released on Tuesday in which she appears to have coordinated social media posts with a top Hillary Clinton State Department aide during the former secretary of state’s Jan. 23, 2013 Senate testimony about the Benghazi attacks. An influential reporter at Politico made an apparent "agreement" with the Democratic National Committee to let it review a story about Hillary Clinton&apos;s fundraising machine before it was submitted to his editors, leaked emails published by WikiLeaks on Friday revealed. Reporter Kenneth Vogel sent an advanced copy of his story to DNC national press secretary Mark Paustenbach in late April. The email&apos;s subject line read: "per agreement ... any thoughts appreciated." The event was an April 10 cocktail party for leading news figures and top-level Clinton staff at the Upper East Side home of Clinton strategist Joel Benenson, a fully off-the-record gathering designed to impart the campaign’s messaging. 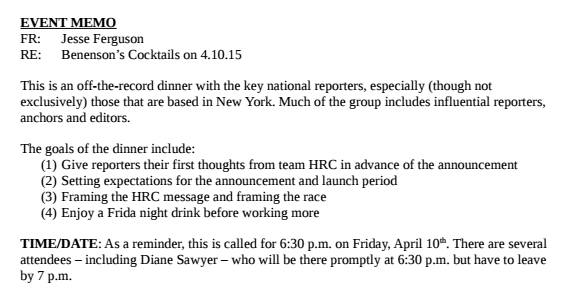 Goal: Give reporters their first thoughts from team HRC in advance of announcement. A release of Democratic National Committee emails from WikiLeaks shows Politico reporter Ken Vogel sent a pre-publication negative copy of a story April 30 to the DNC’s deputy communications director, so he and other staffers at the DNC along with Hillary Clinton campaign could coordinate a response. In one email chain discussing the upcoming release of exchanges between Clinton and writer Sidney Blumenthal, insiders noted that the Associated Press appeared to be willing to allow the Clinton campaign to plant favorable stories. “[T]hey are considering placing a story with a friendly at the AP (Matt Lee or Bradley Klapper), that would lay this out before the majority on the committee has a chance to realize what they have and distort it,” wrote Nick Merrill, the Clinton campaign’s traveling press secretary. The latest trove of emails released by WikiLeaks on Monday proves even further collusion between large, ostensibly mainstream media outlets and the Democratic Party. In an astonishing email, Politico chief White House political correspondent and senior staff writer Glenn Thrush runs his latest article by Clinton campaign chairman John Podesta to make sure nothing offends the Clinton henchman. "Because I have become a hack I will send u the whole section that pertains to u [sic]," Thrush writes to Podesta. "Please don&apos;t share or tell anyone I did this … tell me if I f*cked up anything," he continues. "OTR: No problems here," Podesta responded. The revelation comes on the same day as the release of a new report by the Center for Public Integrity, which showed that the vast majority of politically active journalists have donated money to the Clinton campaign. New York Times reporter Mark Leibovich sought quote approval from the Hillary Clinton campaign following an interview with campaign manager Robby Mook, potentially in violation of the paper’s reporting policy, according to an email published by WikiLeaks. Robby - Here are the quotes that Leibovich (New York Times) is intending to use from your conversation with him unless we see a problem. Neither of them are “problematic” enough that I think we would veto his use of them at this point. They’re both on message. Though I like the second graph better than first. We’re hosting a Politico New Leaders Brunch on Sunday, Jan. 20, with a brief on-stage interview with moi. We would love to honor Chelsea Clinton, and it sounds like she has some issues, marriage and others, that she enjoys talking about these days. This would be a way to send a message during inaugural week: No one besides me would ask her a question, and you and I would agree on them precisely in advance. This would be a relaxed conversation, and our innovative format (like a speedy Playbook Breakfast) always gets heavy social-media pickup. The interview would be “no surprises:” I would work with you on topics, and would start with anything she wants to cover or make news on. Quicker than a network hit, and reaching an audience you care about with no risk.